A trip to Bali wouldn’t be complete without spa. The wide range of choices might seem overwhelming, as each hotel has their own spa specialties and countless individual spa salons also offer a myriad of treatments. 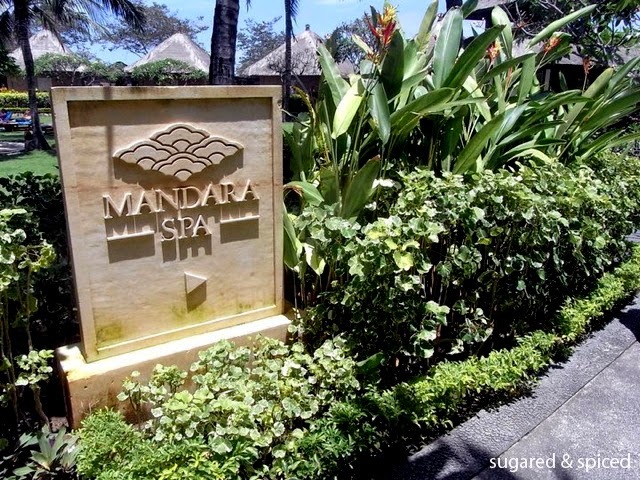 The Mandara Spa at Nikko Resort would be a safe and affordable choice if you don’t know where to go. 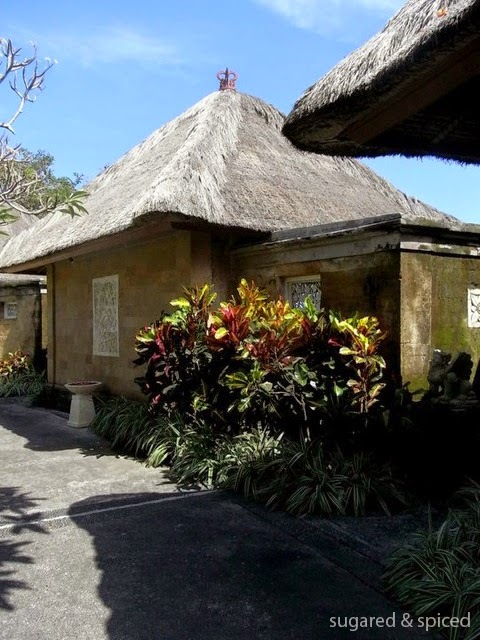 We went for their signature Balinese massage (reserved in advance through email), which is around 1 hour and 20 minutes of gentle and attentive pampering within the hushed havens of private villas, for just 80USD. Highly recommended. 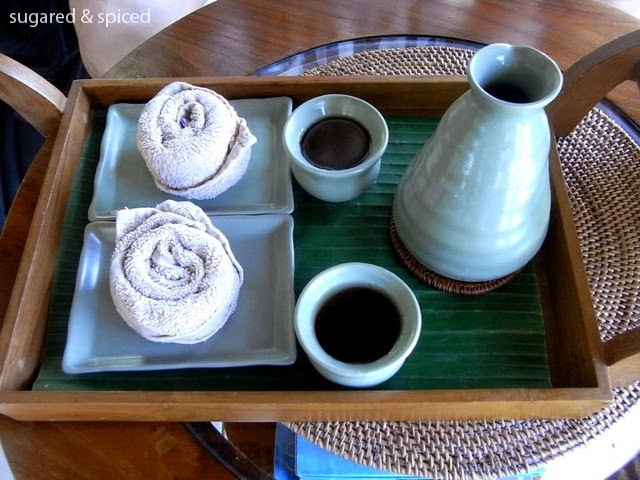 After checking in at the reception desk, we were promptly served ice-cold towels and chilled ginger tea. We then were presented with four different blends of essential oils – Mandara, Island Spice, Harmony, and Tranquility – each having its specific aroma-therapeutic function. After trying a dab of each oil, I settled on the Mandara. There is a total of eight private villas, all designed with lush tropical foliage and water fountains. Though the villa is open-air, the treatment area is covered and set behind high stone walls so there is no worry about privacy. Once inside the villa, we changed into robes (more like a thin sheet of cloth) and paper underwear provided by Mandara Spa. 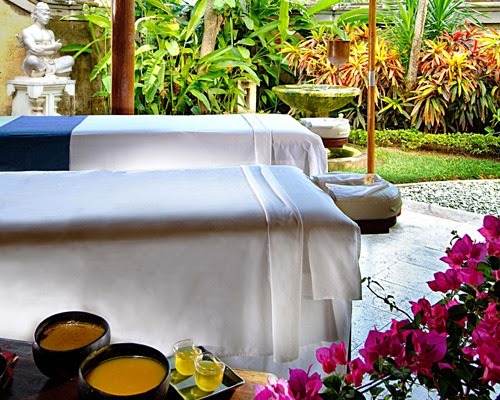 The Balinese massage package includes a foot massage, a floral bath, and a full body massage. 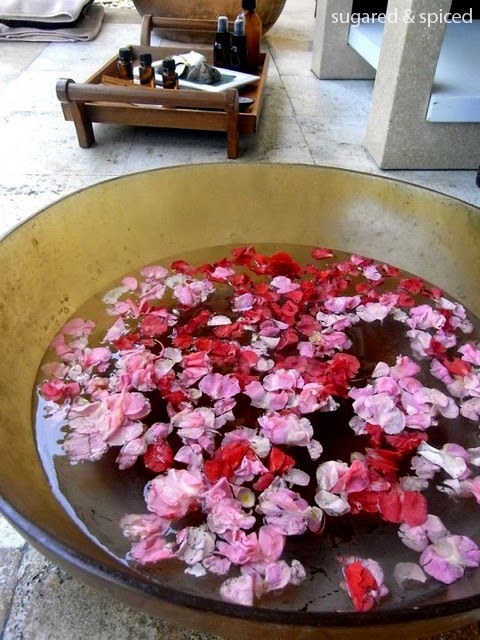 The foot massage began with a warm floral foot bath, followed by a gentle scrubbing using sea salt. 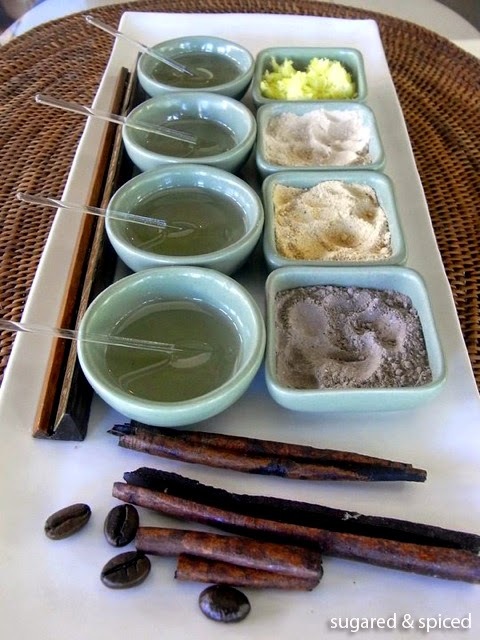 The massage is then completed with your choice of essential oil – lavender, peppermint, or lemon grass.